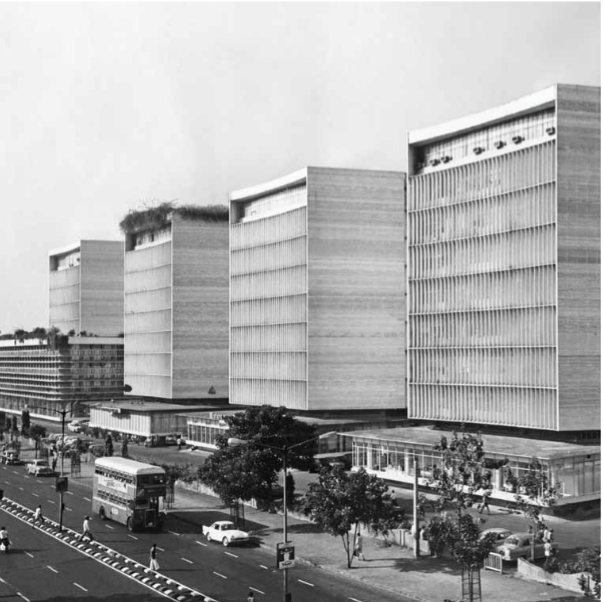 The man who designed some of Mumbai’s most iconic post-Independence architecture explains what led to the city’s disastrous growth. 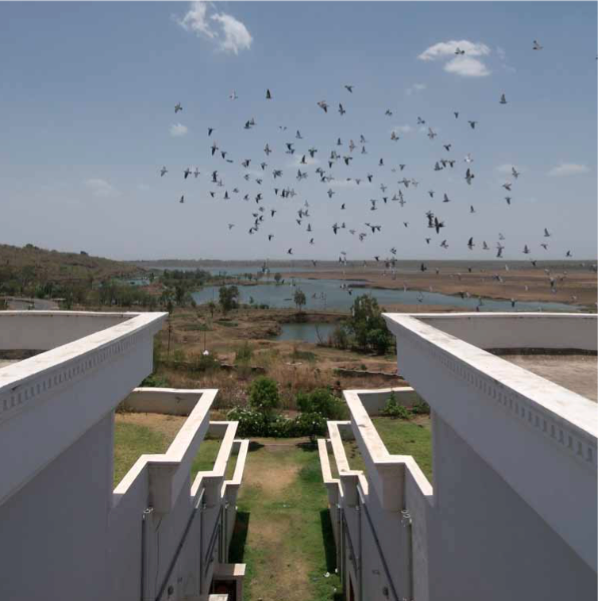 Architect IM Kadri has designed buildings all over India in his nearly five-decade career. National Judicial Academy in Bhopal is one of his creations, Taj Coromandel in Chennai and Fort Aguada Hotel in Goa, among the many others. 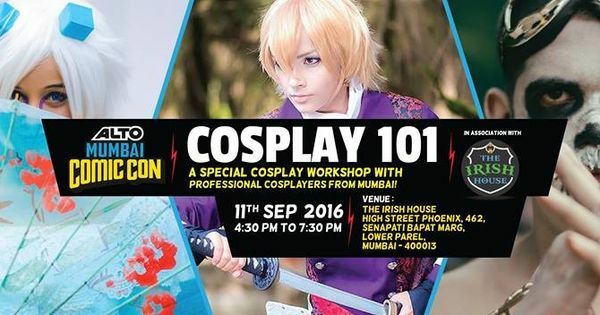 But it is Mumbai that is closest to the 86-year-old's heart, his “favourite city”. This is where he has designed structures that have added character to local skylines. 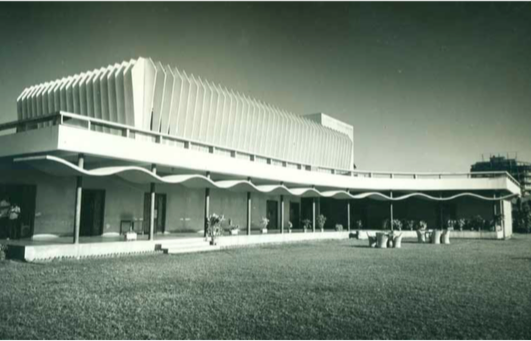 His Nehru Centre, a memorial to Jawaharlal Nehru, in Worli is an important, imposing landmark, as are Haveli Building in Malabar Hill, Islam Gymkhana in Marine Lines and Otters Club in Bandra. The Shiv Sagar Estate, the Nehru Centre and the Happy Home and School for the Blind in Worli. 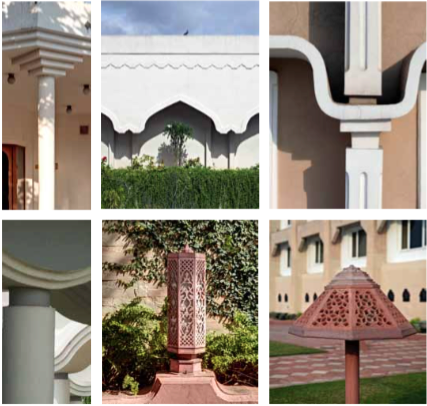 Last month saw the release of The Architecture of IM Kadri, a book written by architectural historian and art critic Kaiwan Mehta which chronicles Kadri's career and explores the design of his buildings across the world. 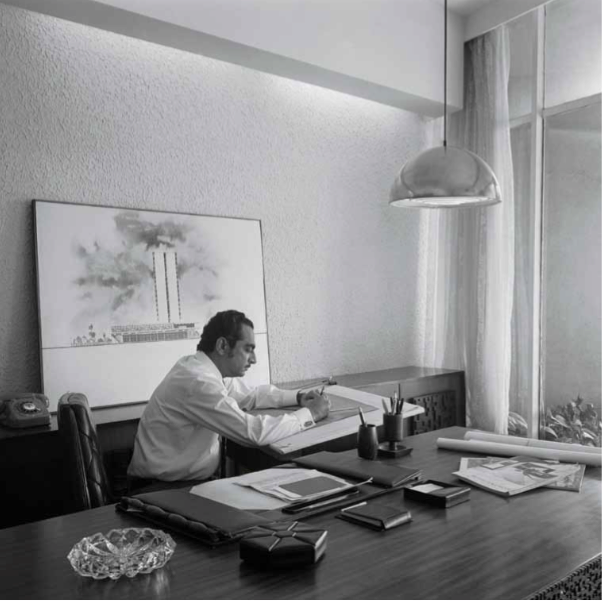 In an interview at his office in Shiv Sagar Estate, also designed by him, Kadri looked back at his career, spoke about his influences and lamented the decay of Mumbai. When he was seven, Kadri was packed off to study at the primary school at Jamia Millia University in Delhi. 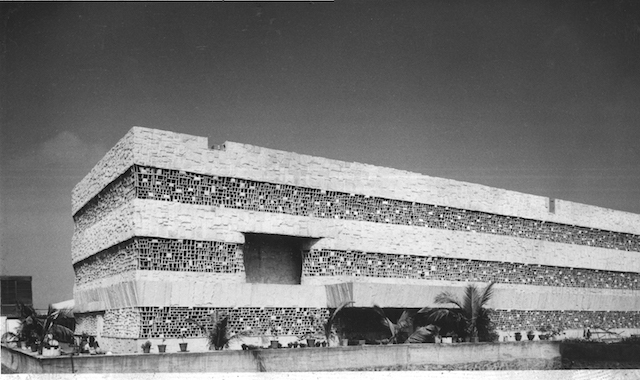 This was in the mid-1930s, when the building was coming up, and it formed his first brush with the world of architecture. “I saw the university building made by an architect called Heinz [Austrian Karl Heinz] and I was flabbergasted,” Kadri remembered. “This can only be made by God. Even as a child I could imagine that the building was completely different.” He would later work with Heinz for a few years. Shiv Sagar Estate in Worli. Kadri went ahead with it anyway and since then most of his projects have had an element of greenery. 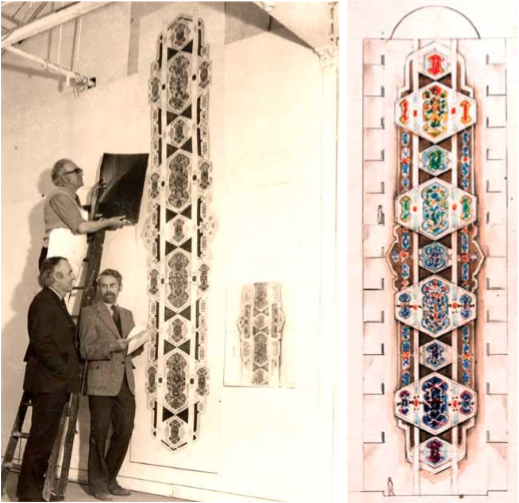 Another element that characterises his work is the jali. “I was influenced by Mughal architecture. [The] proportions of Mughal architecture, its calligraphy. So wherever required I have used the jali.” Each jali, he explains, has a different meaning. The one at the Nehru Centre, for instance, is three-dimensional and is based on the “rose flower which Nehru kept in his pocket”. In the 1980s, Kadri had submitted a report to Bombay's municipal corporation, which he says included a plan to “make Bombay slum-free in 10 years”. A resolution was passed accepting the proposal, but governments changed and it never came to fruition. He tried to present the report again when he became the Sheriff of Mumbai, a titular position, in the early 1990s, but it was too late and his tenure was too short. 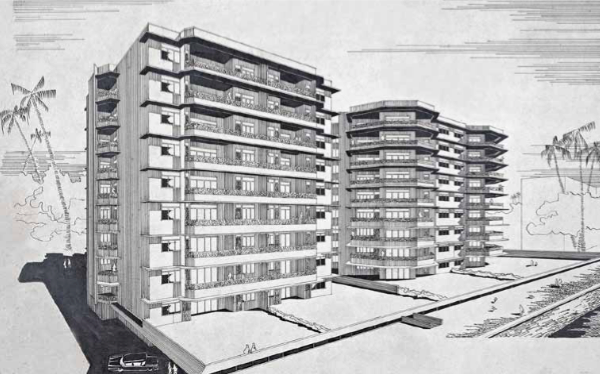 A rendering of Brighton Apartments (1959). 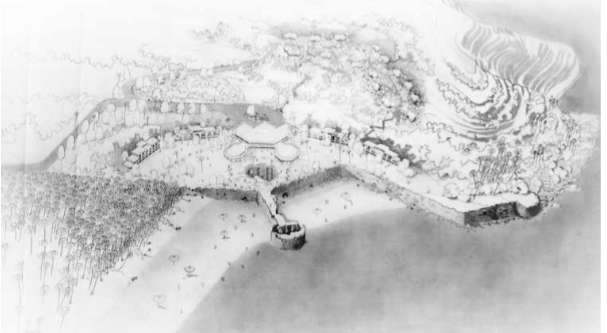 Kadri's plan for the Fort Aguada Hotel in Goa. At work on the world's largest mural at Hotel Ramada in Dubai. Happy Home and School for the Blind in Worli. 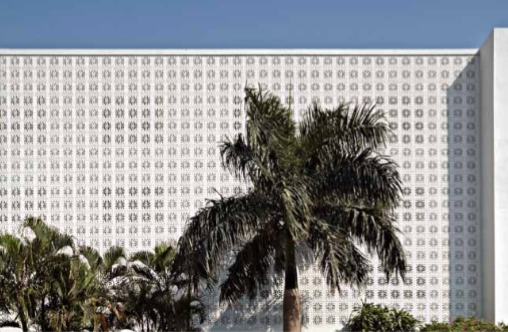 Detailing of the Sahayadri Guest House in Mumbai.